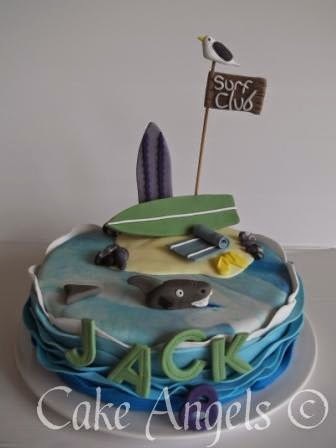 Now that the Summer sun is on its way, what better time than to make a Beach themed Surfing Cake. Watch out for that shark boys ! !